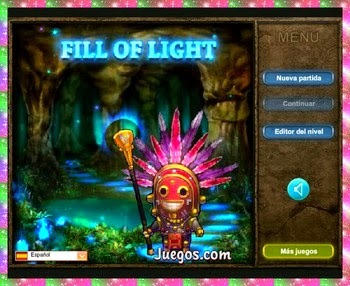 UN INTERESANTE JUEGO DE ESTRATEGIA DONDE SE DEBE GUIAR A UN CHAMÁN POR UN PUZZLE, QUE SE IRAÁ ILUMINANDO BALDOSA POR BALDOSA. TECLAS FLECHA PARA MOVER AL CHAMÁN. ÉSTE SÓLO ANDARÁ SOBRE AQUELLAS BALDOSAS QUE ESTÉN ILUMINADAS.